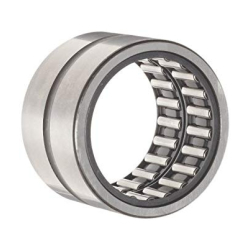 Bearings without inner ring have particularly compact radial dimensions. However, they require a shaft raceway that is hardened and ground. The bearings are of a single row design, RNA69 is of a double row design from d ≧ 40 mm.